ST, SC, FC fiber optic connector is a standard form of the early different companies to develop, they use the same effect but each connector has advantages and disadvantages. ST, SC connector commonly used in general networks. There after ST head into the rotation half a bayonet fixed, the disadvantage is easily broken; SC connector directly plug, and it is very easy to use, the disadvantage is easy to fall out; FC connectors general telecommunication network using, there is a nut screwed onto the adapter, the advantages is a solid, anti-dust, the disadvantage is slightly longer installation time. MTRJ fiber optic patch consists of two high-precision plastic molded connectors and cable components. Connector for precision plastic parts exterior parts, including push-pull plug clamping mechanism. Applicable to telecommunications and data networking systems for indoor applications fiber optic connectors, fiber optic connectors is access optical modules, but also have a good variety, and is not interoperable with each other. Fiber than regular contact with people may mistakenly think GBIC and SFP fiber optic connector module is the same, they do not. SFP LC fiber optic connector module connection, and then the GBIC SC fiber optic connector. FC fiber connector: External strengthen way is to use a metal sleeve, fastening means for the turnbuckle. Generally adopt ODF side (on the patch panel with a maximum). SC fiber optic connector: connector GBIC optical modules, its rectangular casing, fastening means is a latch pin plug type uses, do not need to rotate. (With a maximum switch on the router) . 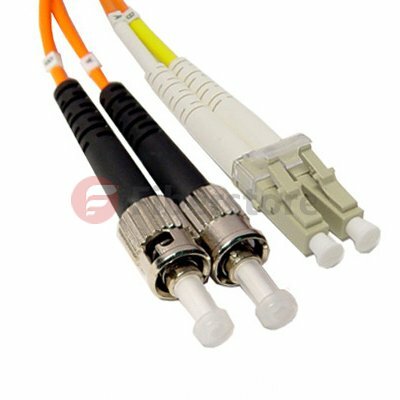 ST fiber optic connectors: commonly used in fiber optic patch panels, rounded shell, fastening means for the turnbuckle. (For 10Base-F connector, the connector is usually ST type commonly used in fiber optic patch panel). LC type optical fiber connector: connector SFP module, which uses a modular jack made easy operation (RJ) latch mechanism. (Routers used). MT-RJ: transceiver square fiber optic connectors, one pair of fiber transceiver. Fiber optic connector according to the different transmission media can be divided into common silicon-based single-mode fiber, multimode connectors, as well as other issues such as the transmission medium in plastic optical fiber connector; according to the form of connection head structure can be divided into: FC , SC, ST, LC, D4, DIN, MU, MT, etc. in various forms. Which, ST connector is commonly used wiring device side, such as fiber optic patch panels, fiber optic module; while SC and MT connectors are typically used for network equipment side. There are several common multimode optical fiber cable always apply in fiber optic telecommunications and high speed transmission systems, such as st-st 62.5/125 , LC to ST 62.5 multi mode, 62.5/125 multimode fiber lc-sc, SC to SC 62.5 multi mode fiber ect. 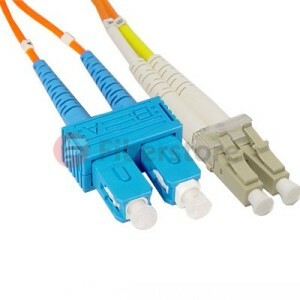 Then let’s have an introduction of various types of optical interface Fiber optic connectors,FC Round threaded (on the patch panel with maximum), ST Snap-round, SC Snap-square (with a switch on the router maximum), PC Micro-spherical polishing, APC was 8 degrees and do micro-spherical polishing, MT-RJ square, one pair of fiber transceiver (Huawei 8850 on helpful). So we need to choose when we choose to optical fiber connection is suitable for interface. How Many Fiber Connector Type Do You Know? This entry was posted in Fiber Optic Connectors and tagged 62.5/125 multimode fiber lc-sc, LC to ST 62.5 multi mode, st-st 62.5/125 on April 19, 2014 by Admin.